Kirk Franklin and Tye Tribbett are both gospel musicians who have led choirs and won Stellar awards, but the pair were also honored by others in the gospel music industry on Jan. 26, which happens to be both of their birthdays. Franklin turned 45 on Jan. 26, while Tribett turned 39. Both men were recognized on their special day by a number of their well-known peers. While people such as singer William McDowell sent short and sweet "Happy Birthday" messages on social media, people like choir master Ricky Dillard put more of a personal touch on special birthday messages. "Wishing A HAPPY BORN DAY! To my lil brother ‪@tyetribbett‬," Dillard wrote to Tribbett on Twitter. "I LOVE YOU MMAAANN." He also had a special message for Franklin. "To my other brother from another mother. We both got our start in the music industry in the early 90s," Dillard wrote. "I'm so proud of him and his musical accomplishments. 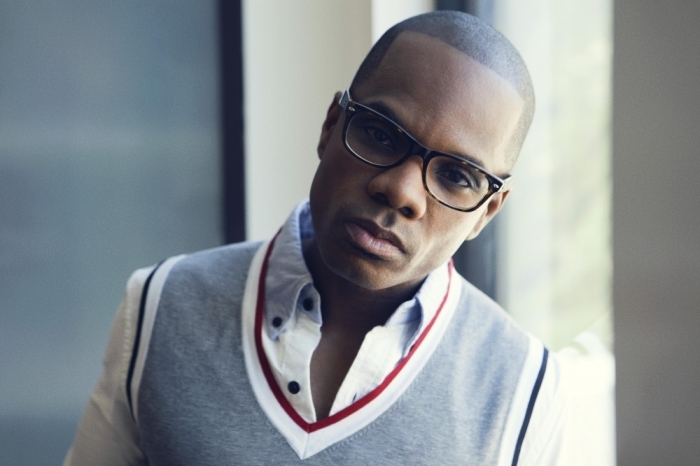 HAPPY BIRTHDAY @KIRKFRANKLIN!" James "JJ" Hairston, another well-known gospel choir director and composer, also wished both men well on their respective birthdays. "Happy birthday to my bro @bowtyetrib!! So happy for all that has happened for you dude," Hairston wrote on Instagram. "I'm proud to be connected to someone who studies the word & worships the way you do. I love you bro! Enjoy your day!" Hairston honored Franklin for being an inspiration in the gospel music community. "Happy birthday to my dude ‪@kirkfranklin‬! You've paved the way for so many of us to do what we do," he wrote on Instagram. "Enjoy your day!" Franklin and Tribbett are both known for high-energy entertainment, and singer Isaac Carree thought their shared birthdays could have something to do with that. "HAPPY BIRTHDAY TO 2 OF THE GREATEST PEOPLE I KNOW!!!! @bowtyetrib & Kirk Franklin!!! These two guys have helped me be the man I am today! I love you both," he wrote on Twitter. "It's crazy the Tye & Kirk share the same bday... I guess January gives you all that energy!!! LOL Help me celebrate these two amazing dudes!!!!" Last year, Franklin spoke to The Christian Post about his goals in the industry where he has been so successful. "I'm always trying to find innovative ways to be able to keep God famous," Franklin previously told The Christian Post. "For all the properties I'm involved in, that's been my agenda."